Here’s an excellent editorial by Louisiana governor Bobby Jindal in left-leaning Time magazine. 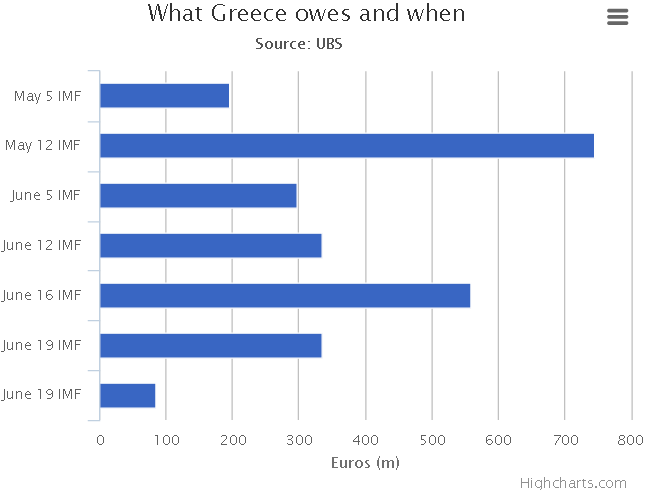 It’s simple math to understand what is happening in Greece right now. When Greece joined the euro, it benefited from the financial support of its more fiscally responsible neighbors in the euro zone. Rather than taking the opportunity to enact the structural reforms that could have increased growth — reforms that it still has not undertaken — Greece instead went on a spending spree funded by other people’s money. Greece has been cooking the books with complicated financial instruments for years. But the problems don’t stop there. Greece’s Rubik’s Cube tax code and rampant corruption make tax evasion widespread. Golden parachute public pensions that allow public sector workers to retire as early as 45 drain dollars out of the government coffers while incentivizing a still healthy and work-age workforce to live on the public dime. It’s hard to have sufficient tax paying workers when about 75% of Greek public-sector employees retire by the age 61. Did the new socialist government run by 40-year-old child Alex Tsipras fix anything? After taking office in January, the Alexis Tsipras administration reversed promised privatization of state-owned assets like the Port of Piraeus. 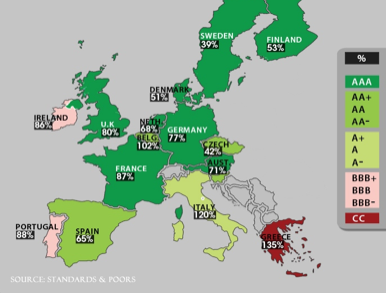 In 2011, the IMF predicted Greece could bring in 50 billion euros ($56 billion) from the sale of state assets, not to mention the savings from moving those employees off the public wage and benefit system. To date, it has raised about 3 billion euros. Business has no interest in creating jobs when crushed by government regulation. Tspiras promised to raise the minimum wage, despite the economy spiraling out of control. It’s not surprising the March unemployment rate stood at 25.6%. Privatization is a thing that conservatives do, because we don’t like the idea that government workers get automatic pay from compulsory taxation. We prefer that whoever is providing services be in the private sector, as independent from government influence as possible. That way, they actually have to compete with other providers to earn your money – something a government monopoly never has to do. Anyway, back to Greece socialism. Who would be stupid enough to raise taxes, raise minimum wage, increase spending and promise people more free stuff as a way of getting out of debt? Clinton and Sanders are math deniers, like most of the Democrats in D.C. They want to grow the government economy instead of the real American economy. Rather than pursuing tax reform to improve growth or entitlement changes to reduce future expenditures, Clinton and Sanders are focused on spending trillions on Obamacare, giving free college to everyone, and raising the federal minimum wage. Since January 2007, Democrats have added well over $10 trillion to the national debt, running it up to $18.5 trillion, higher than the entire GDP of the country. What have we got for that? Fewer people in the labor force, and more people dependent on government, that’s what. But oh, you can marry your siblings and pets now, because lurve, so that’s something. 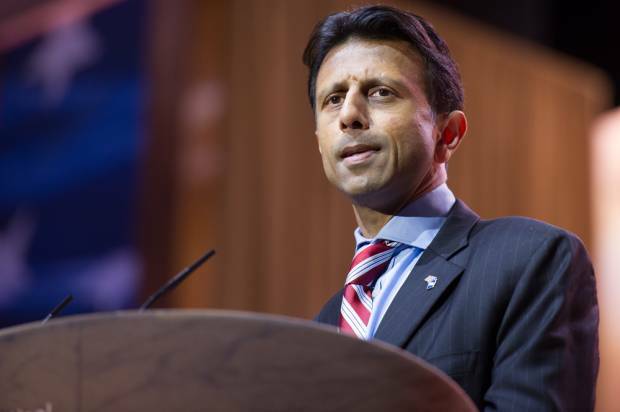 OK, so let’s talk about Bobby Jindal. Initially, I had him slotted in as my #2 candidate with Scott Walker on top. But Walker has had two months and hasn’t done anything super conservative. Meanwhile, Jindal has offered a lot of red meat to conservatives on marriage and right to life, and now we have this aggressive condemnation of socialism, too. I think Jindal is now my top pick, and Walker is next, then Cruz. Fiorina is looking better at this point and is #4, and Rubio is off my list entirely. 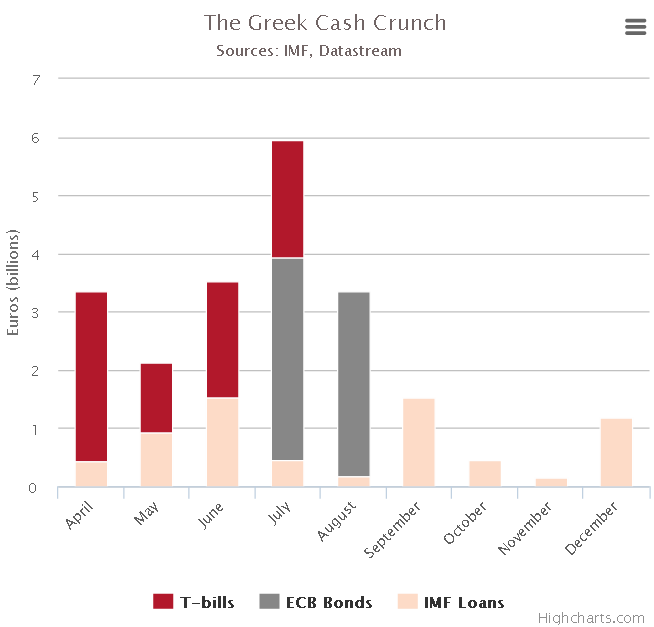 How well is the Tspiras-Syriza “austerity is over” plan working out for Greece? First, let’s recall what the socialist leader Tsipras said after he was elected to save nearly bankrupt Greece. […]“We won’t get into a mutually destructive clash, but we will not continue a policy of subjection,” said Tsipras, who at 40 is Greece’s youngest postwar leader. […]Earlier, the energy minister, Panagiotis Lafazanis, called a halt to the privatisation programme that the EU and IMF have demanded in exchange for the €240bn in aid keeping Greece afloat. Plans to sell off the country’s dominant power corporation, PPC, were to be frozen with immediate effect. “We will immediately stop any privatisation of PPC,” said the politician, who heads Syriza’s militant Left Platform. A proposed scheme to privatise the port of Pireaus, the country’s largest docks, were also put on hold. Yes, only nasty conservatives like me think that private industry is cheaper, more efficient and less corrupt than big government for handling big projects. Measures that had pushed Greeks on to the streets – and pushed the country into its worst slump on record – were consigned to the dustbin of history, just as the leftists had promised. Yes, everything is going to be sunshine and roses, because a 40-year-old know-nothing with no experience says it will be. Economics? 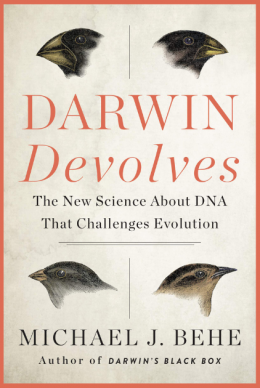 That dismal science belongs in the dustbin of history. We can unilaterally reverse the policies our creditors demanded, and then they will of course keep lending us money anyway. Dismantling the EU-IMF mandated measures that had plunged Greece into poverty and despair would, declared Panos Skourletis, the labour minister, be his single greatest priority. “The reinstatement of the minimum wage to €751 (£560) [a month] will be among the government’s first bills,” Skourletis announced on Antenna TV. Under international stewardship, Athens had been forced to pare back the minimum wage to under €500, ostensibly to increase competitiveness and make the labour market more attractive. Skourletis, formerly Syriza’s hard-nosed spokesman, said plans were similarly under way to bring back collective work agreements – a major demand of unions – and to annul the enforced mobilisation of workers protesting against cuts. Everything is awesome! Well, those two articles were from January 2015. Let’s see what’s happening now. Everything is awesome! Lets have fun! Greece’s “war cabinet” has resolved to defy the European creditor powers after a nine-hour meeting on Sunday, ensuring a crescendo of brinkmanship as the increasingly bitter fight comes to a head this month. Premier Alexis Tsipras and the leading figures of his Syriza movement agreed to defend their “red lines” on pensions and collective bargaining and prepare for battle whatever the consequences, deeming the olive-branch policy of recent weeks to have reached a dead end. “We have agreed on a tougher strategy to stop making compromises. We were unified and we have a spring our step once again,” said one participant. The Syriza government knows that this an extremely high-risk strategy. The Greek treasury is already empty and emergency funds seized from local authorities and state entities will soon run out. Greece’s mayors warned over the weekend that they would not release any more funds to the central government. The Greek finance ministry must pay the International Monetary Fund €750m (£544m) on Tuesday, the first of an escalating set of deadlines running into August. “We have enough money to pay the IMF this week but not enough to get through to the end of the month. We all know that,” said one minister, speaking to The Telegraph immediately after the emotional conclave. If there’s one thing that makes me feel better about all the crap that is happening in this world, it’s the wonderful truth that eventually, bad economics meets with reality. You can imagine anything you want today that makes you feel good, and imagine that it will all be paid for somehow in the future. I really like it when people who don’t have any money make these elaborate future plans and then bet their futures on it. Because when reality comes, we all find out that there is justice in the world after all. There is no path to prosperity that involves doing whatever you want and being happy all the time – that is a myth that children have about life. Anyway, pass me the popcorn and let’s see how the Peter Pan plans of these inexperienced children work out. We won’t have to wait long. Mmm, this popcorn tastes schadenfreudelicious. International lenders agreed to a €10bn bailout of Cyprus early on Saturday morning after 10 hours of fraught negotiations, which included convincing Nicosia to seize €5.8bn from Cypriot bank deposits to help pay for the rescue, a first for any eurozone bailout. However an emergency parliamentary session on Sunday to discuss the levy on bank savings was postponed until Monday, according to the Cyprus News Agency. Earlier, Cyprus president Nicos Anastasiades postponed an informal meeting of lawmakers also scheduled for Sunday morning. Cypriot finance minister Michalis Sarris said his government had already moved to ensure deposit holders could not make large withdrawals electronically before Tuesday’s open; Jörg Asmussen, a member of the European Central Bank executive board, said a portion of deposits equivalent to the levies would likely be frozen immediately. […]Mr Asmussen justified the measure by saying it broadened the number of people who will shoulder the burden of the bailout. Without the measures, he said, much of it would fall on Cypriot taxpayers; by going after all large deposit holders – many of whom are Russian or British – outsiders would help fund the rescue. […]While Jeroen Dijsselbloem, the Dutch finance minister who chairs the group of eurozone finance ministers that hashed out the deal in all-night talks, declined to categorically rule out hitting depositors in future bank bailouts, he insisted that it was not being currently considered for any other country. Got that? Even Russian and British depositors are having their funds confiscated, and all electronic transfers have been frozen to stop them from getting their money out. My prediction is that anyone with any money in these poor-performing socialist countries will be pulling it out in the next few days. Property rights are not respected by European socialists – that’s the clear message to people who earn and save their money. Greece’s rundown state hospitals are cutting off vital drugs, limiting non-urgent operations and rationing even basic medical materials for exhausted doctors as a combination of economic crisis and political stalemate strangle health funding. With Greece now in its fifth year of deep recession, trapped under Europe’s biggest public debt burden and dependent on international help to keep paying its bills, the effects are starting to bite deeply into vital services. […]Greece, a member of the euro zone that groups some of the richest nations on earth, has descended so far that drugmakers are even working on emergency plans to keep medicines flowing into the country should it crash out of the currency bloc. The emergency has grown out of a tangle of unpaid bills, with pharmacists and doctors complaining of being unable to pay suppliers until competing health insurers clear a growing backlog of unfilled state payments. […]Greeks have long had to give medical staff cash “gifts” to ensure good treatment. Nevertheless the health system was considered “relatively efficient” before the crisis despite a variety of problems including a fragmented organization and excess bureaucracy, according to a 2009 report for the Organisation for Economic Cooperation and Development. But it has been unable to respond to the growing crisis. The European Union and International Monetary Fund, which provided a 130 billion euro lifeline to Greece in March, have demanded big cuts to the system as part of a wider package of austerity measures. But powerful medical lobbies and unions have resisted fiercely. Caretaker Prime Minister Panagiotis Pikrammenos, in office until a new government is formed after the elections, has pleaded for a solution but been powerless to force a change. What’s the lesson here? The lesson is that government programs have no money of their own – they don’t make anything or do anything that people want of their own free will. Only private companies do that because they have to compete with other sellers to please the customer. Government is a parasite on the private sector – everything they do is funded from taxes taken from workers and employers. When the economy goes bad, it’s not just private sector jobs that are lost, it’s public sector health care programs. That’s why no one should want government to go beyond the minimal functions set out in the Constitution. UPDATE: On Sunday, Greece voted to reject Obamanomics and to live within their means. Europe is going socialist – what’s the worst that could happen? European finance officials have discussed as a worst-case scenario limiting the size of withdrawals from ATM machines, imposing border checks and introducing capital controls in at least Greece should Athens decide to leave the euro. EU officials have told Reuters the ideas are part of a range of contingency plans. They emphasized that the discussions were merely about being prepared for any eventuality rather than planning for something they expect to happen – no one Reuters has spoken to expects Greece to leave the single currency area. […]The discussions have taken place in conference calls over the past six weeks, as concerns have grown that a radical-left coalition, SYRIZA, may win the second election, increasing the risk that Greece could renege on its EU/IMF bailout and therefore move closer to abandoning the currency. No decisions have been taken on the calls, but members of the Eurogroup Working Group, which consists of euro zone deputy finance ministers and heads of treasury departments, have discussed the options in some detail, the sources said. As well as limiting cash withdrawals and imposing capital controls, they have discussed the possibility of suspending the Schengen agreement, which allows for visa-free travel among 26 countries, including most of the European Union. […]Another source confirmed the discussions, including that the suspension of Schengen was among the options raised. I noticed an article that came out in CNN Money that explained how American households had lost almost 40% of their net worth since 2007 – the exact year that Nancy Pelosi took control of the House and Harry Reid took control of the Senate. The Democrats have been running the European playbook since they took over in 2007. We are just a few steps behind the Europeans thanks to the borrow and spend policies of the Democrats.